Nurse Advisor to the Community Eye Health Journal, International Centre for Eye Health, London School of Hygiene and Tropical Medicine, Keppel Street, London WC1E 7HT, UK. 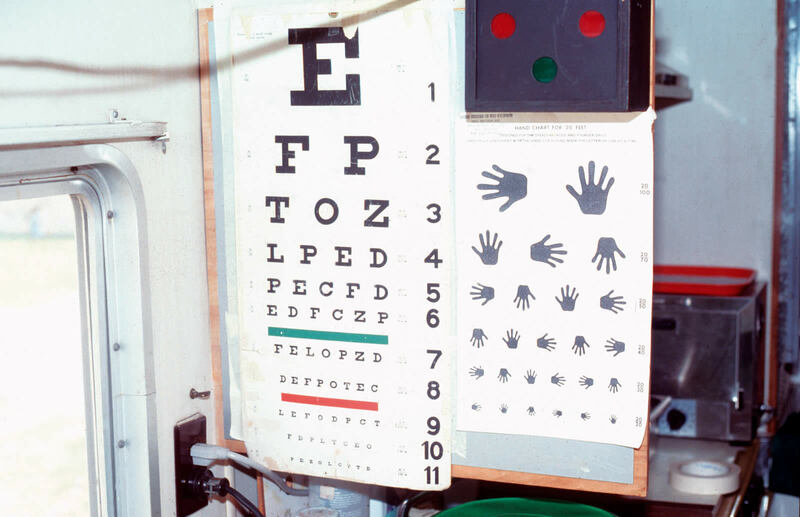 If the patient cannot read the largest (top) letter at 6 metres, move him/her closer, one metre at a time, until the top letter can be seen  the VA will then be recorded as 5/60 or 4/60, etc. Follow the same procedure and recording methods as above.